The following article is reprinted from the Regnum Christi website. Jill Swallow’s love of singing began as her mom carried her in her womb. It wasn’t surprising that Jill got into music from an early age in her hometown of Versailles, Ohio. She sang in the choir all through school, studied piano and performed in musicals from early childhood. In high school, she continued to sing, played trumpet in the concert band and was the on-field director of the marching band. Then it was off to Miami University in Athens, Ohio, to get her degree in teaching, meet the right guy and settle down to raise a family. But God had other plans. In May of her sophomore year, Jill attended a retreat called Youth 2000 where she heard God’s call to total consecration and missionary work. In June, her best friend introduced her to two Consecrated Women of Regnum Christi who invited her to a discernment program in Rhode Island. Jill went to Rhode Island in July and discovered that God was indeed calling her to this lifestyle. She made her first vows of poverty, chastity, and obedience on August 25, 2001. Jill was willing to accept the possibility that consecrated life would put a halt to her musical life. But again, God had other plans. It turned out that consecrated life included singing – lots of singing: Mass, choir, special events, just for fun. And the women even produced CDs. Jill said instead of abandoning her music, she has been able to do more with it than she ever expected. “Arise” is Jill’s latest CD. As the name implies, it is an uplifting song of joy and trust, a sequel to her earlier song, “Holding On,” written during a period of pain and suffering. 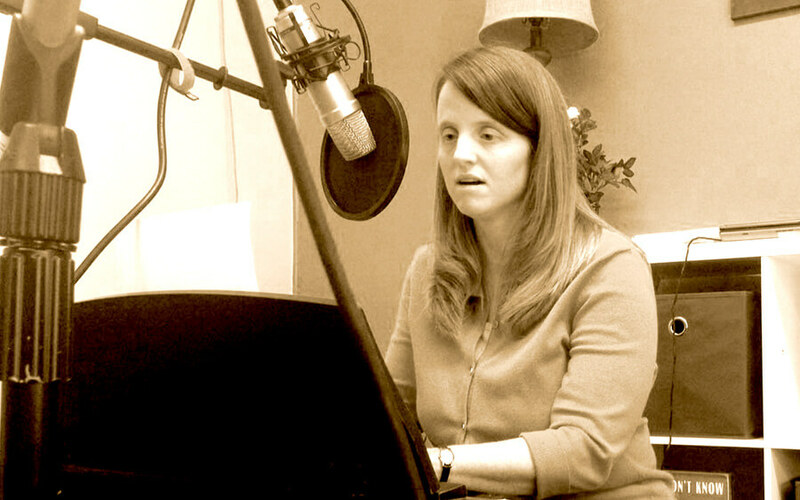 Jill has performed on a half dozen CDs produced by the Consecrated Women off Regnum Christi, on not only her own songs, but accompanying others, directing and producing. “But I want to make it clear that I’m not a songwriter,” Jill said. “I don’t sit down at the piano and tell myself I’m going to write a song; that doesn’t work for me and would be forced. Today, Jill lives in the consecrated community in Oxford, Michigan. She is Formation Director for the girls’ school at Everest Academy in Clarkston. And she has nearly a dozen more gifts in the form of songs awaiting release. “Arise” and other music CDs from Jill and the other Consecrated Women of Regnum Christi are available at CD Baby. Click here for more information. Jill lives in the Regnum Christi consecrated community in Oxford, Michigan. 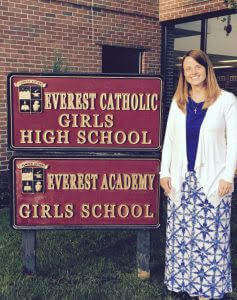 She is Formation Director for the girls’ school at Everest Academy in Clarkston.